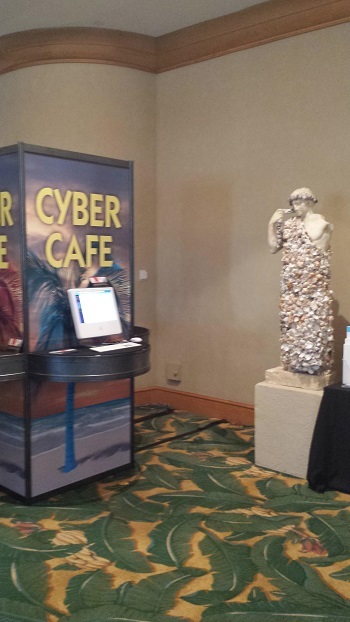 Earlier this year, KioWare software was used at the South Beach Symposium located in Miami, Florida. KioWare kiosk software can be configured to lock down Windows or Android devices. In this case, Mike Nestor of ADM Corp set up counter top stations running Windows 7 on Mac Hardware. See some images of KioWare in use. ADM Corp manages the business operations and tasks associated with running a successful medical practice. 1. Attendee Check In. Print up your tradeshow lanyard ID’s within seconds. Brand the kiosk with the tradeshow or your company information. 2. Dynamic, Interactive Product display. Enable visitors to your booth to check out your product listing, website, application, and/or electronic brochures at their own pace, restricting them only to the information and websites you permit. Allow for on site printing of the information they are interested. 3. Collecting prospect information. 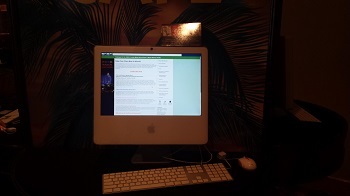 Visitors can sign up and type in their own contact information; eliminating typos, administrative time on data entry, and difficult to read handwriting. 4. Survey. Collect survey data from passers by, either at your booth or around the show. These can be anonymous or you can request contact information. 5. Incorporate external devices like barcode scanners, RFID printing, and/or accept credits cards. Your kiosk can do any number of things, including collecting payment (credit card swiping).